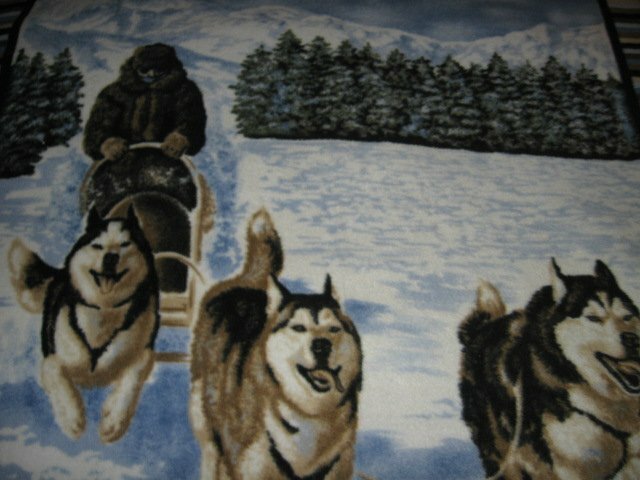 Husky Dogs and Sled Driver winter scene are depicted on the blanket. Smoke free home of professional seamstress. All work guaranteed. Single thickness. 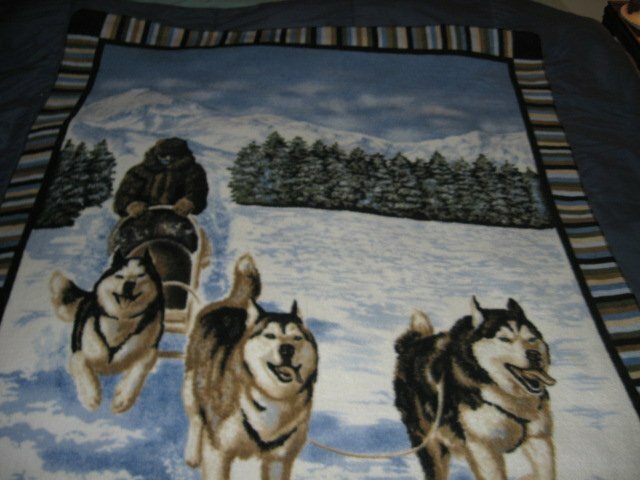 Measures approximately 45"X 60" wide. Very Rare. 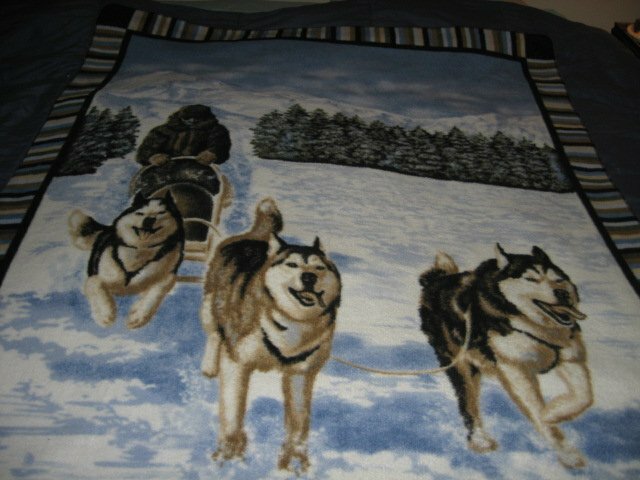 Purchased this material years ago.